The ALC students love to work on the laser printers. A few of them are getting quite talented on it. It is so fun to see the projects the students come in to show us. 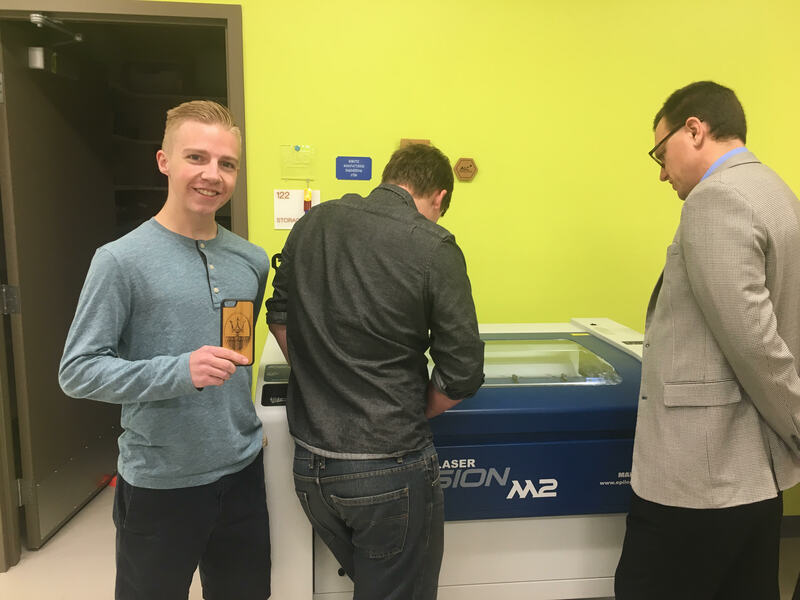 In this featured photo, JT Nebekar displays the phone case he created on the laser printer. Also pictured are Trenton Clement and Corey Mohn an ALC partner from Blue Valley CAPS.